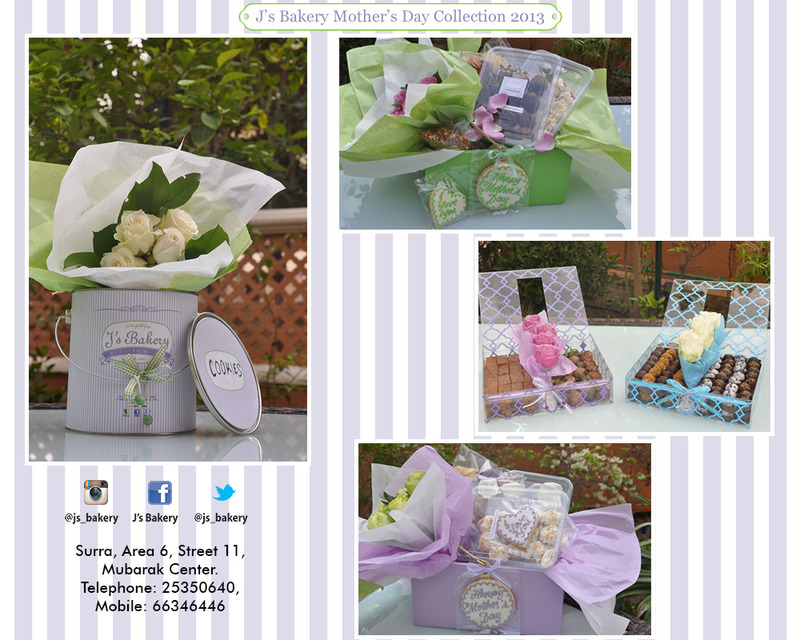 We are super excited at J’s to present the the New Years Collection 2012.. 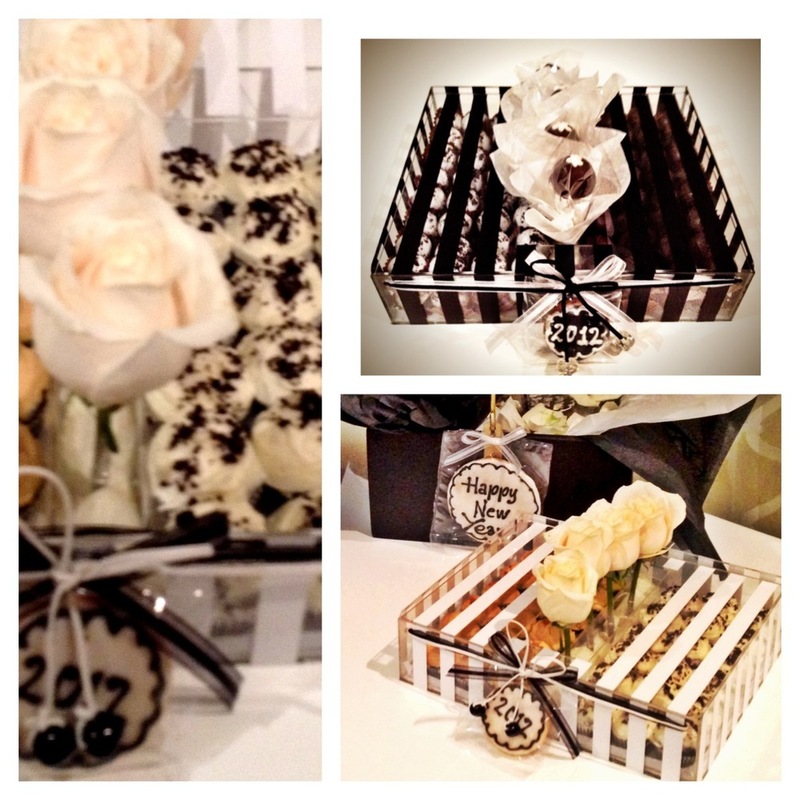 There are a few color combinations out there as chic as Black N White… my personal favorite after lilac and green ofcourse! 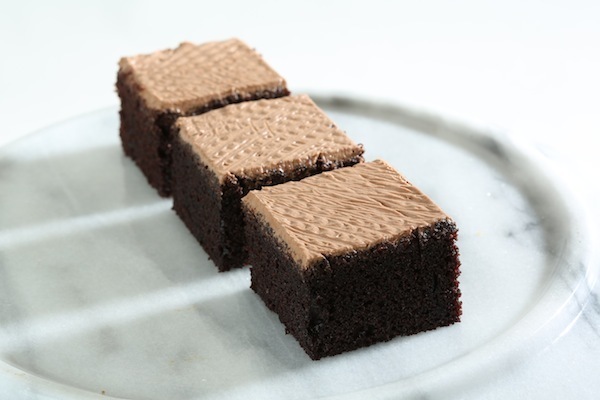 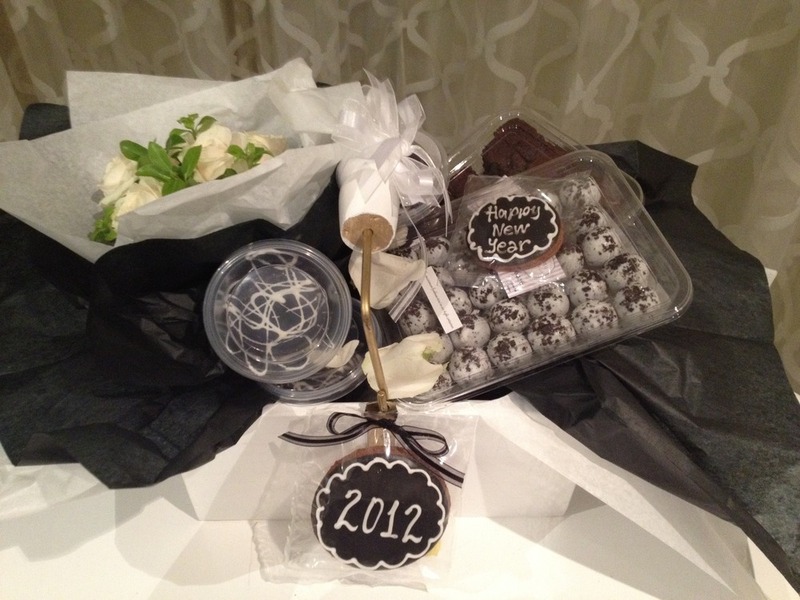 Everyone in the kitchen was initially shocked that we would be featuring a BLACK gift box as our latest color to celebrate the New Year.. 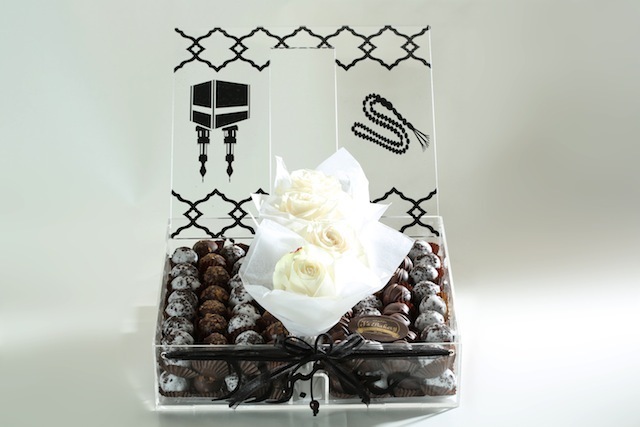 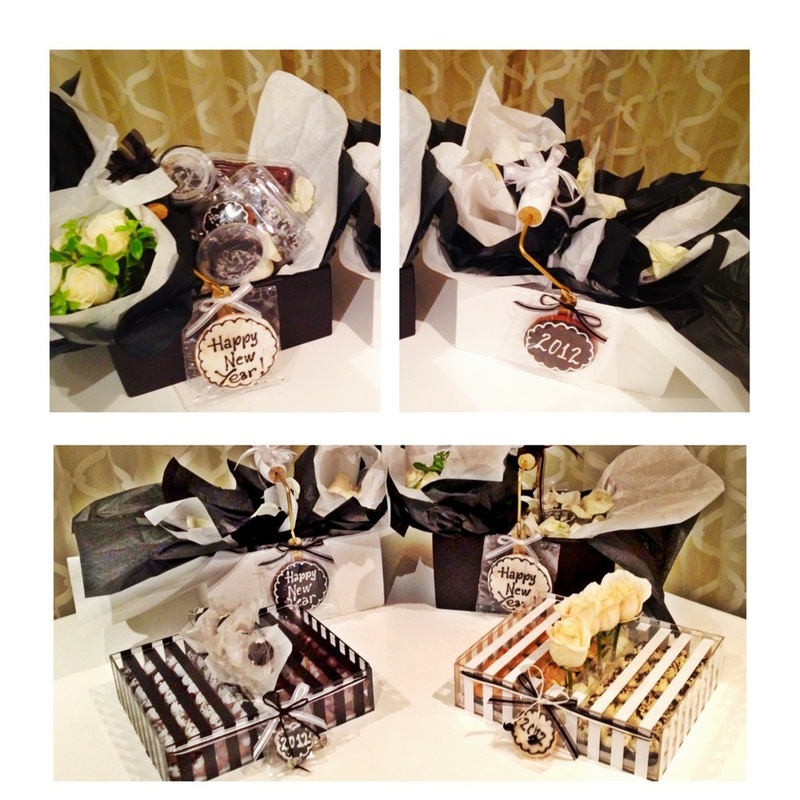 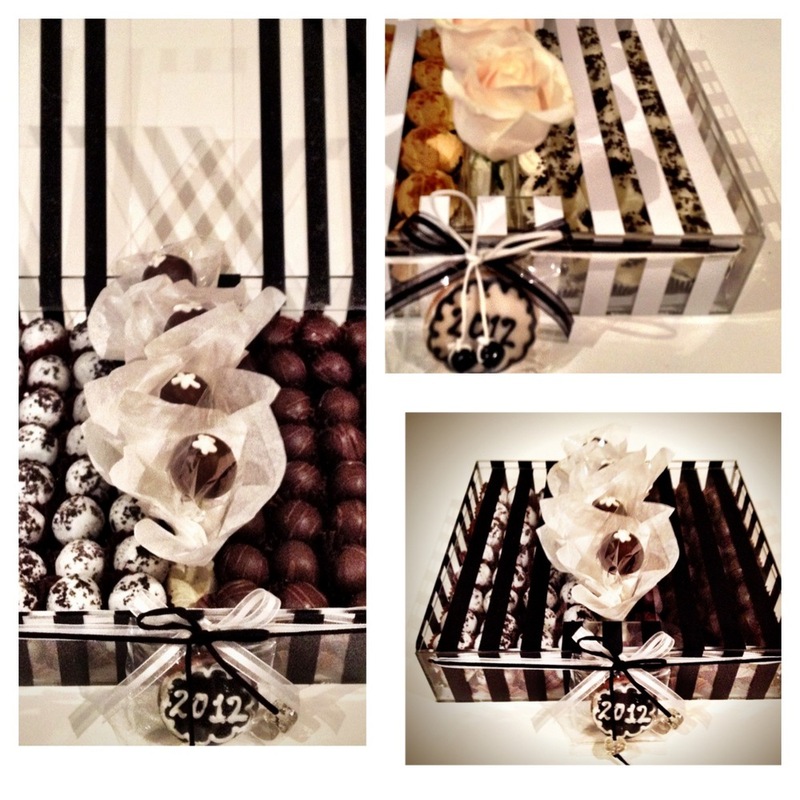 I think with all the trimmings and black n white decorated treats.. it looks quite contemporary and fresh..
Black N White Gift Basket (S): 35KD Contains:18pcs mini Black N White brownies, 1dz Black N White mini cupcakes, 0.5KG Oreo Balls, 3 Chocolate Mud Cakes with white chocolate drizzle, 7 custom sugar cookies with messages and bouquet of 5 fresh flowers.. 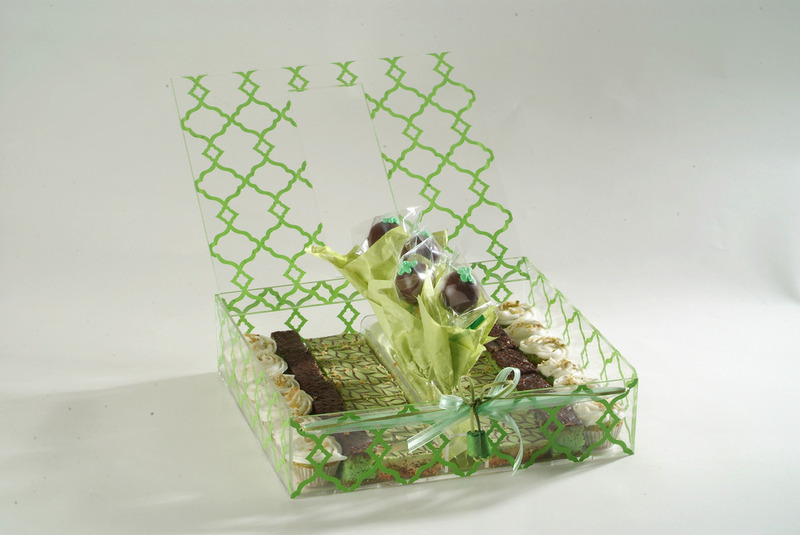 Basket available in black or white color. 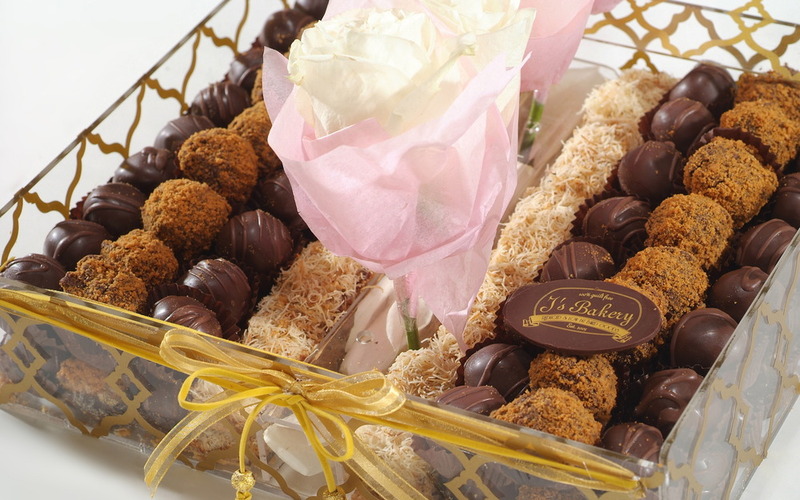 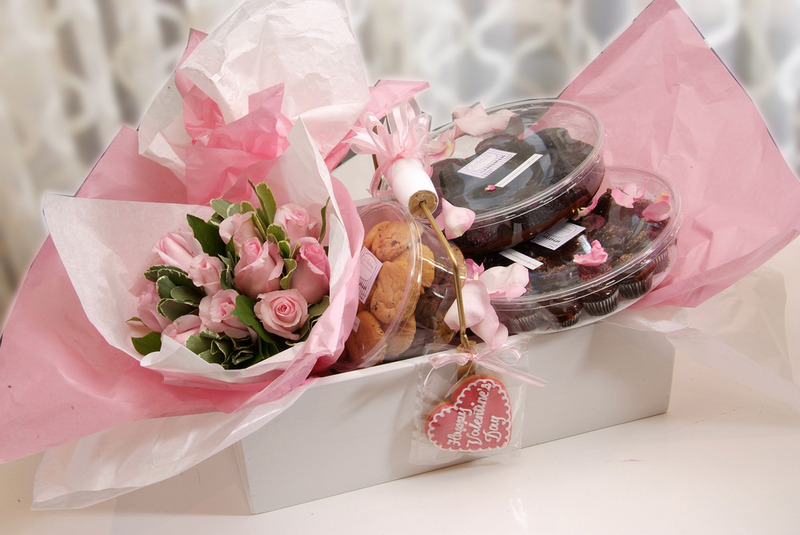 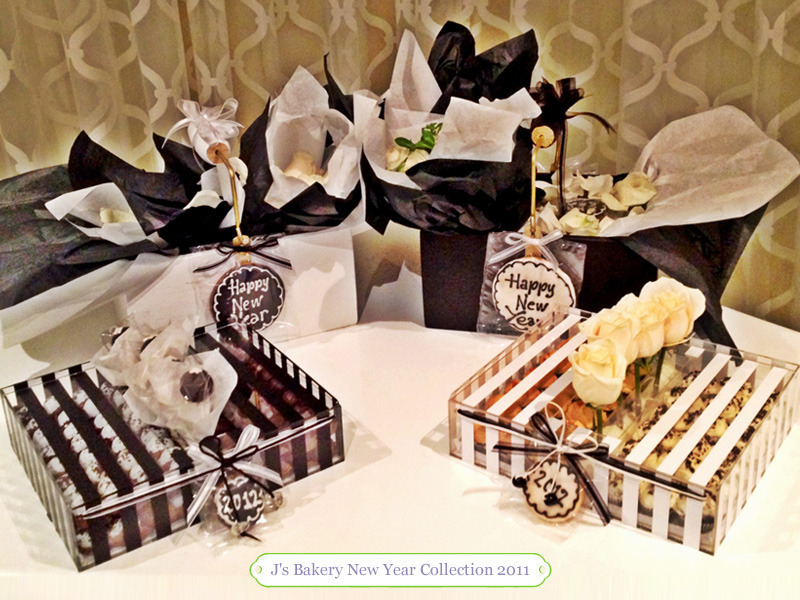 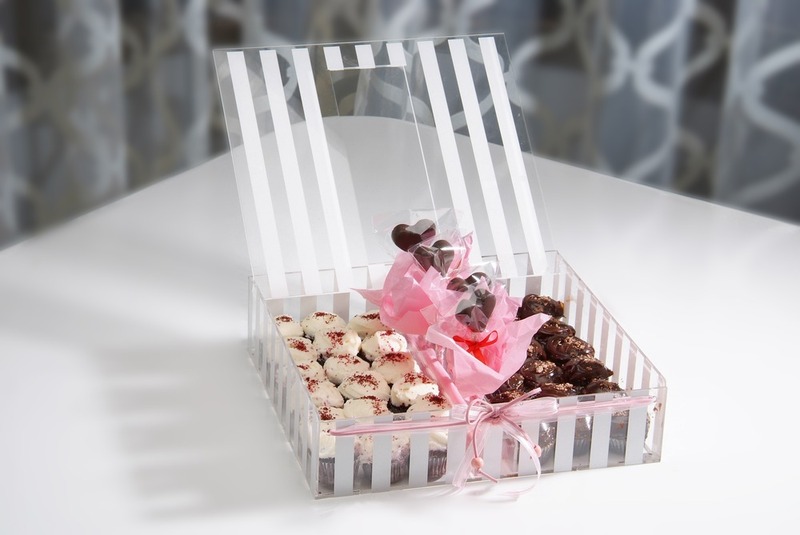 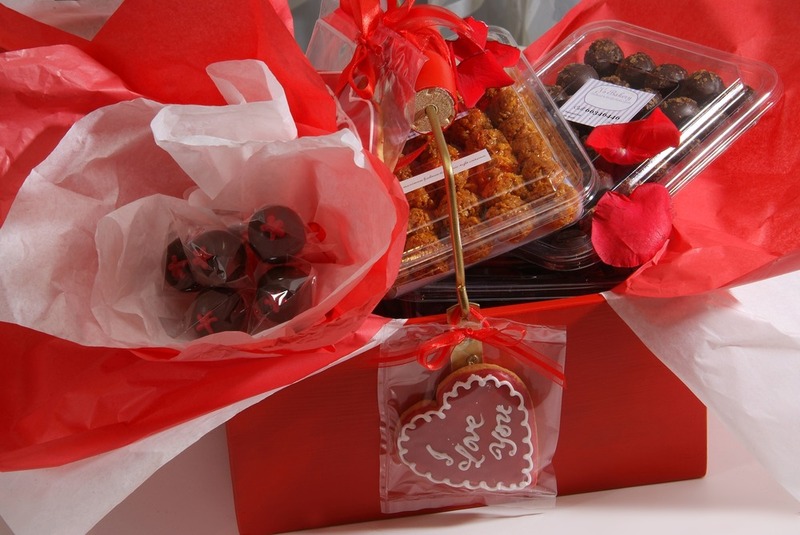 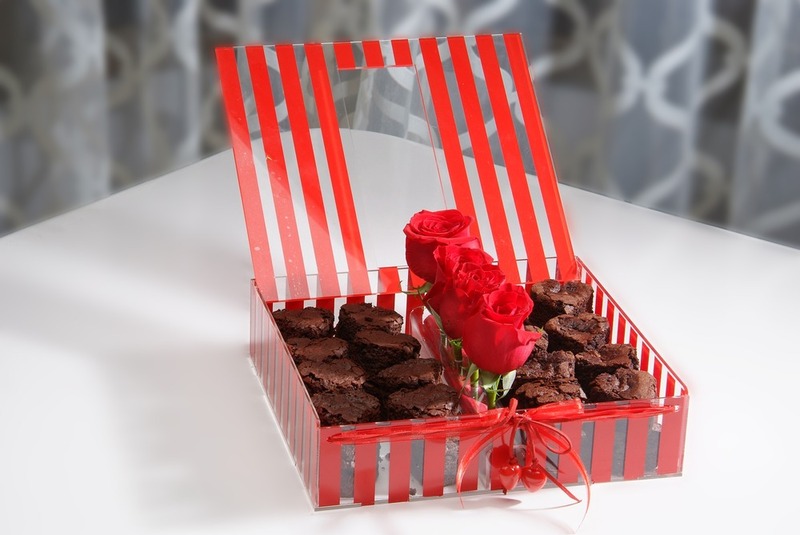 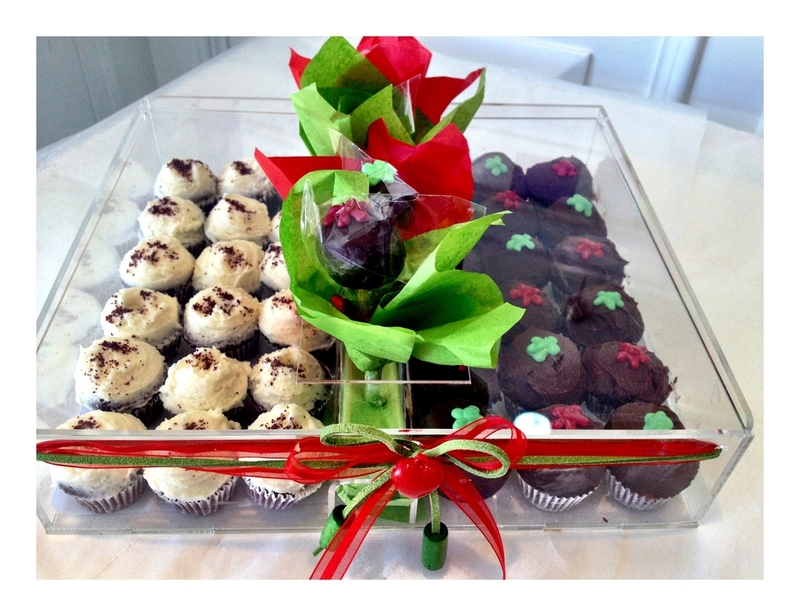 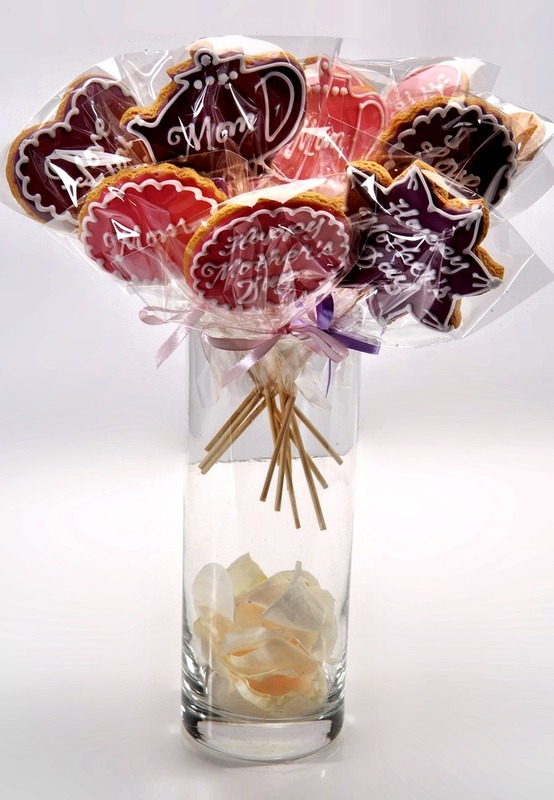 Pre-Order your New Years Gift Basket or Plexi gift box, a truly chic hostess gift or just a fun way to ring in the New year.. with your favorite J’s Bakery Treats! 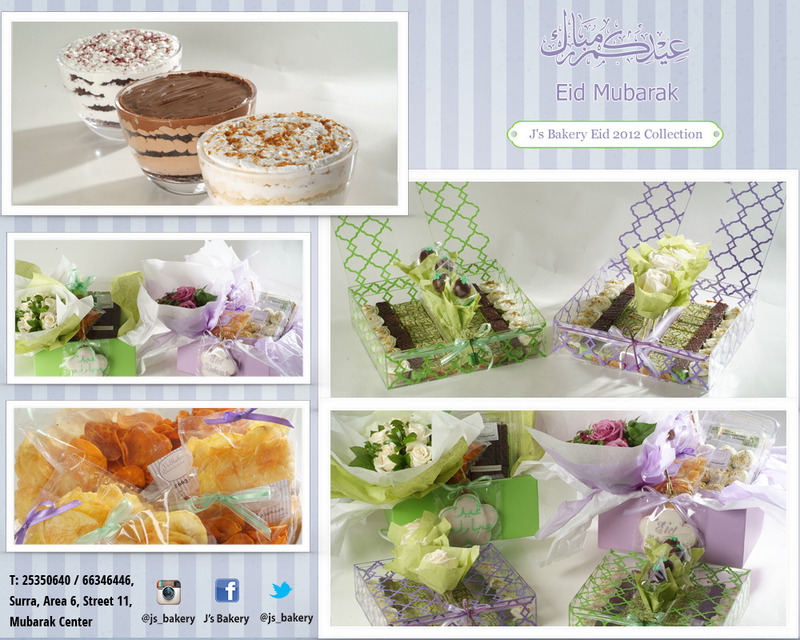 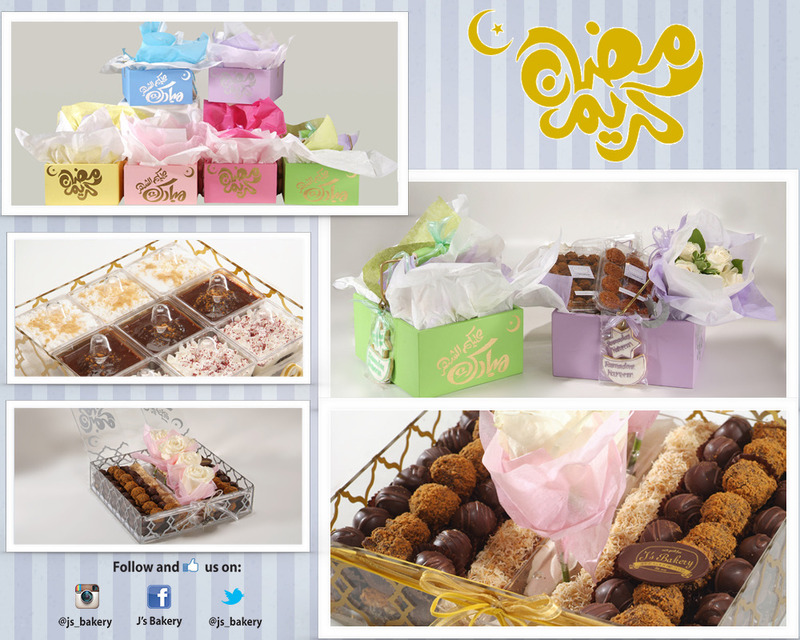 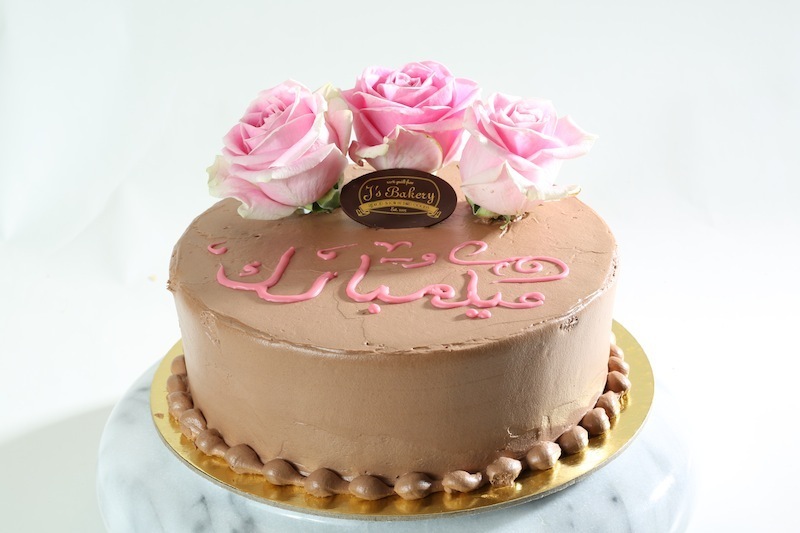 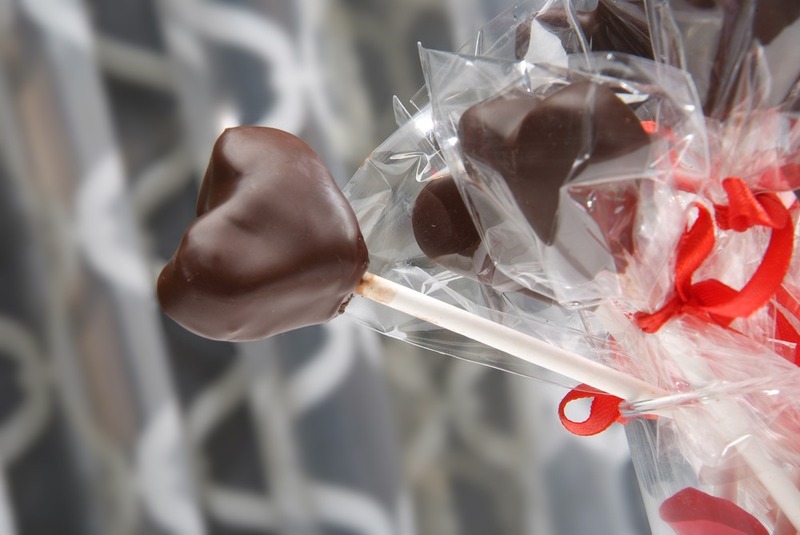 Call 25350640 or 66346446 or Visit us in Surra Area 6 Street 11 Mubarak Center! 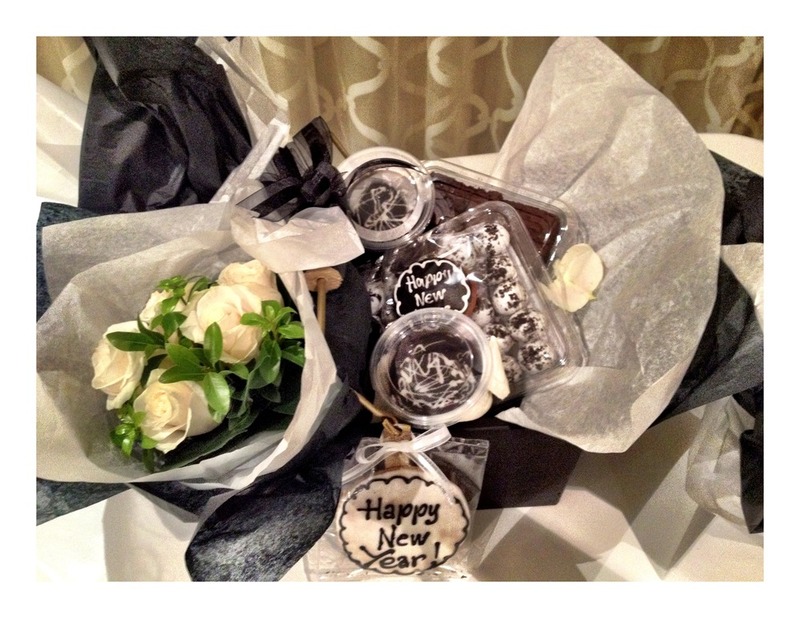 HAVE A SAFE N HAPPY NEW YEAR!! 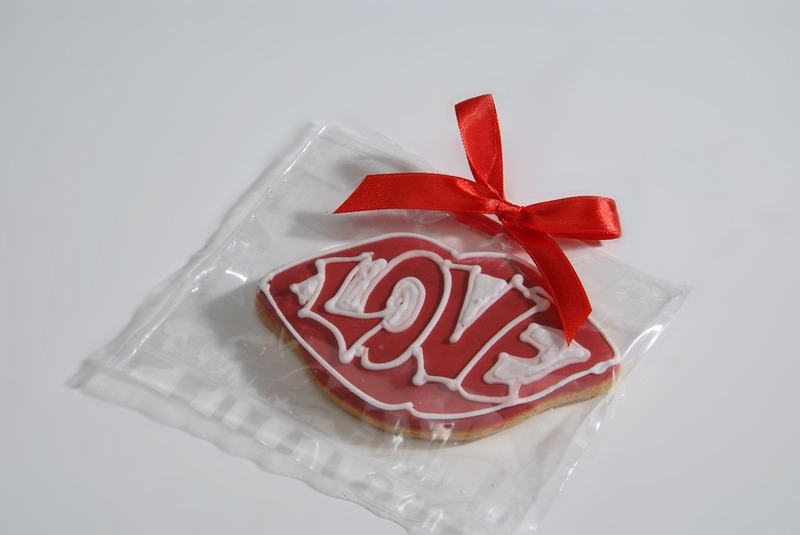 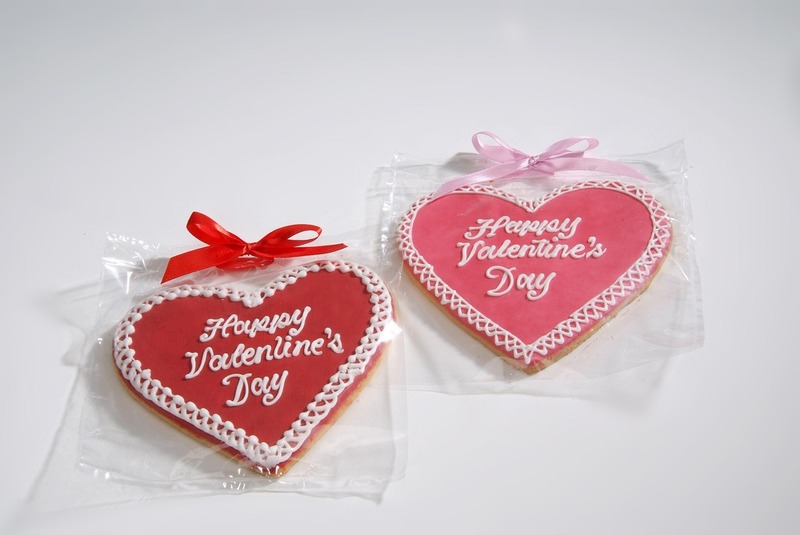 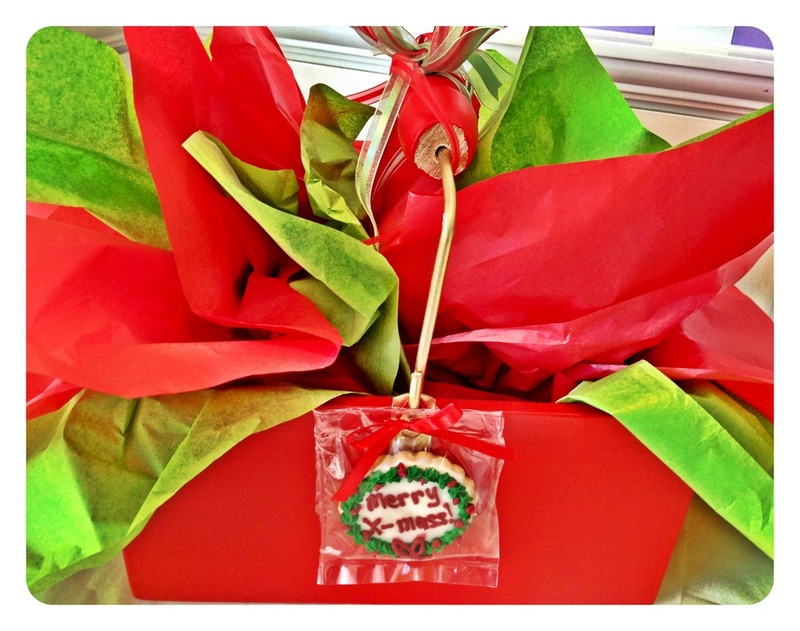 X-Mass is around the cornor.. We posted our festive sugar cookies last week which are great as stocking stuffers or mini Secret Santa gifts.. 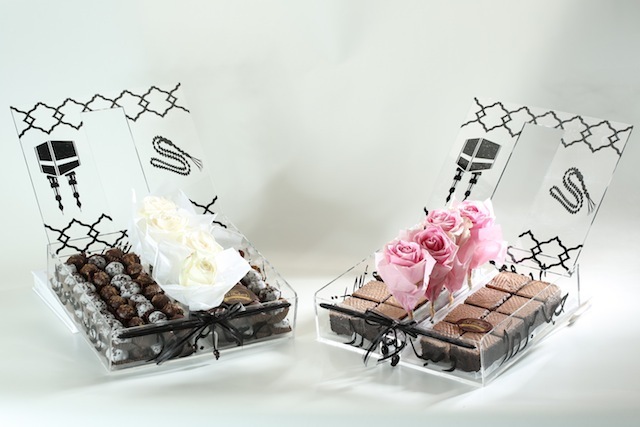 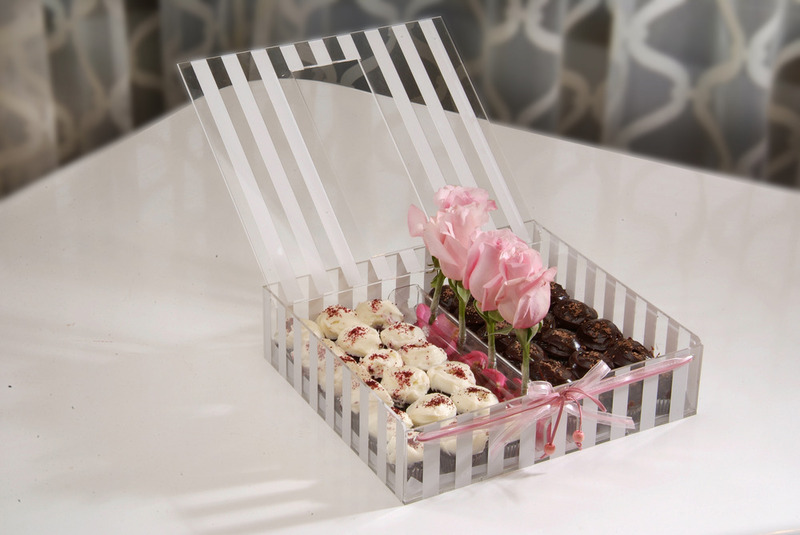 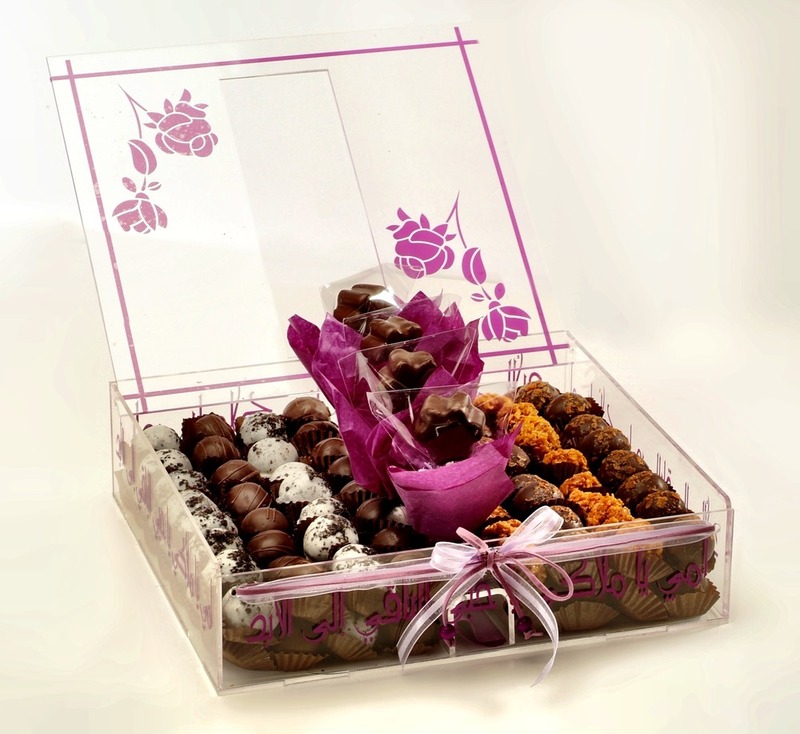 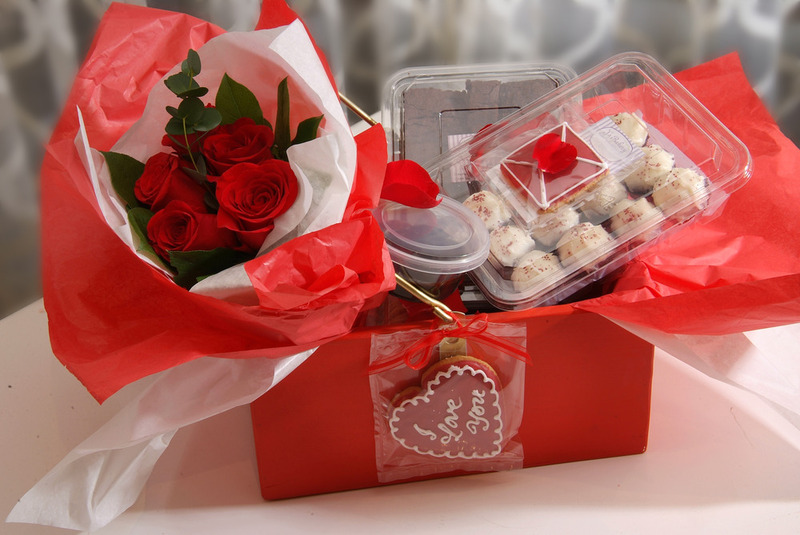 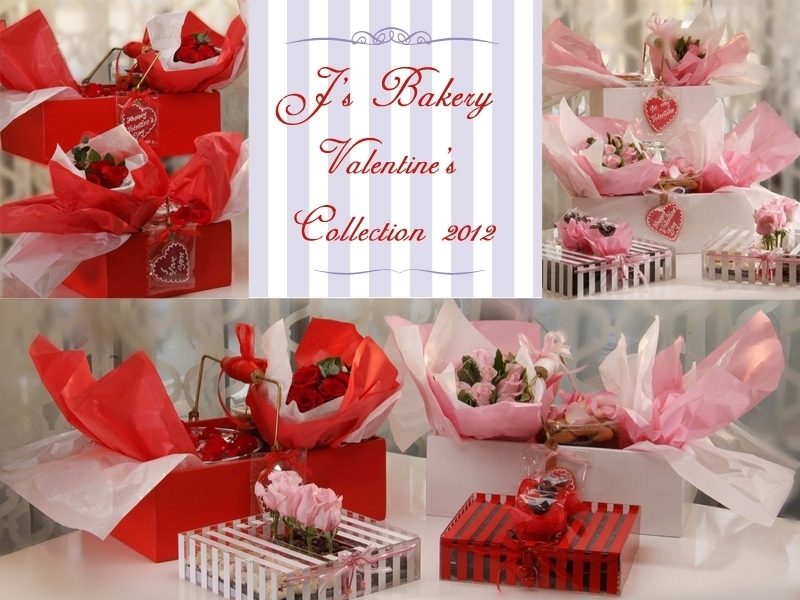 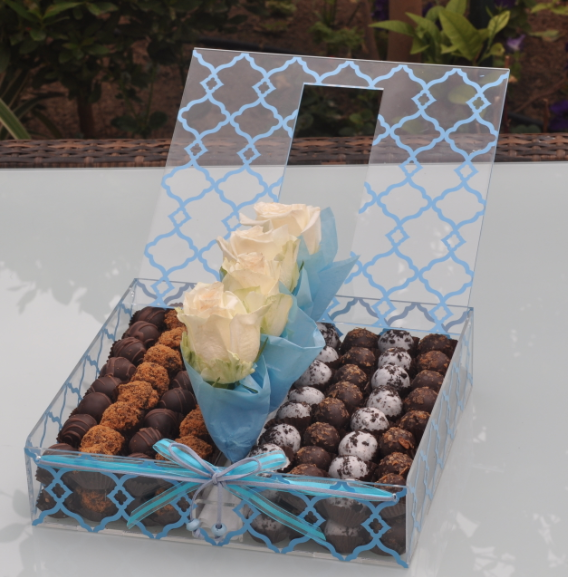 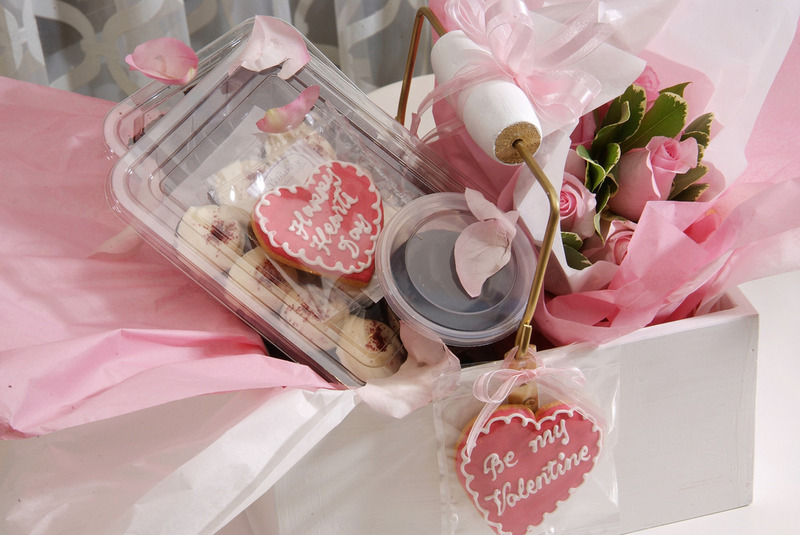 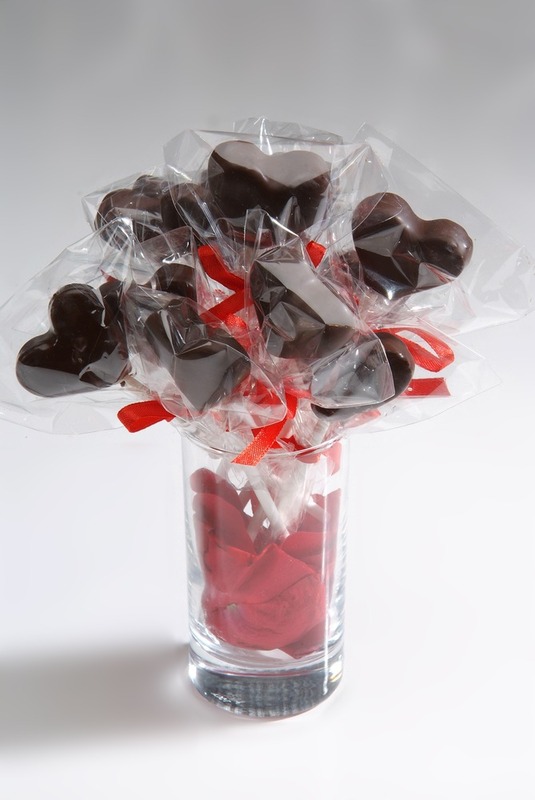 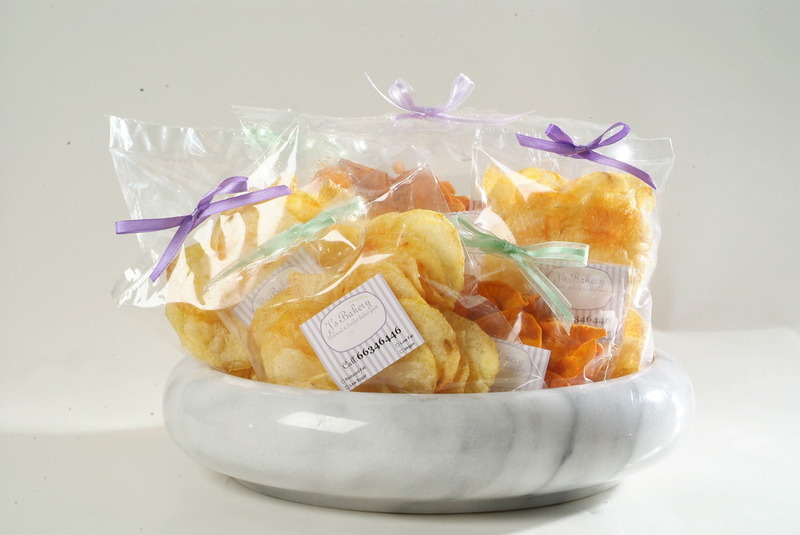 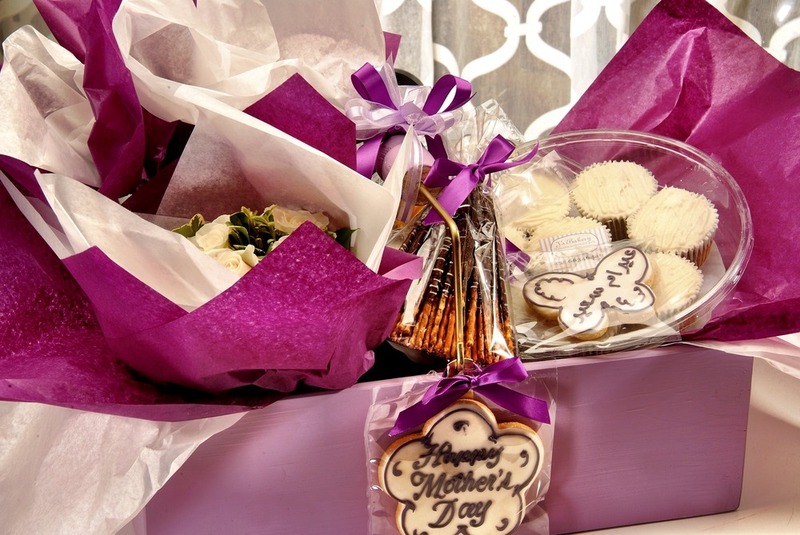 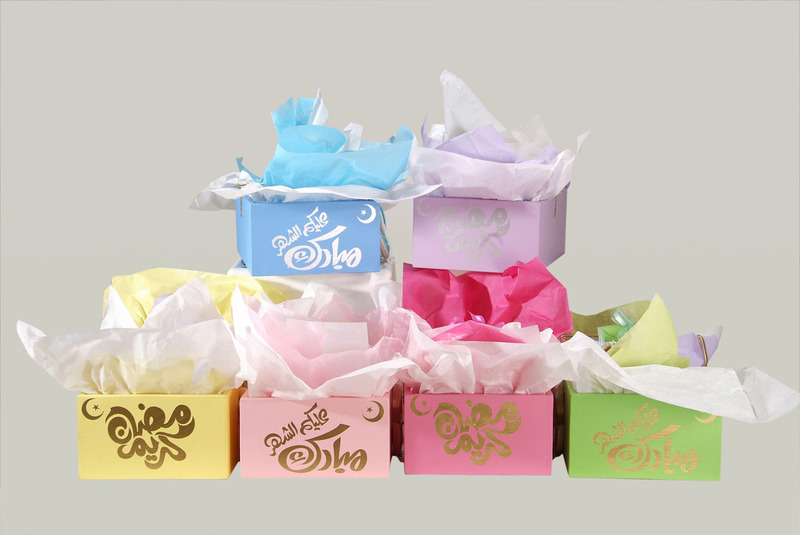 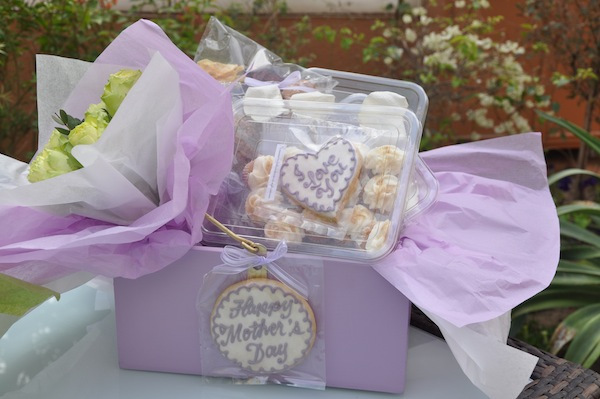 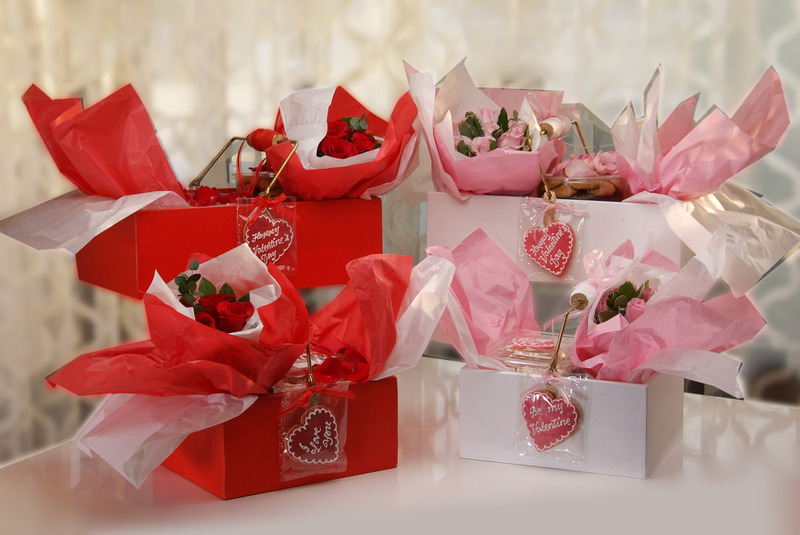 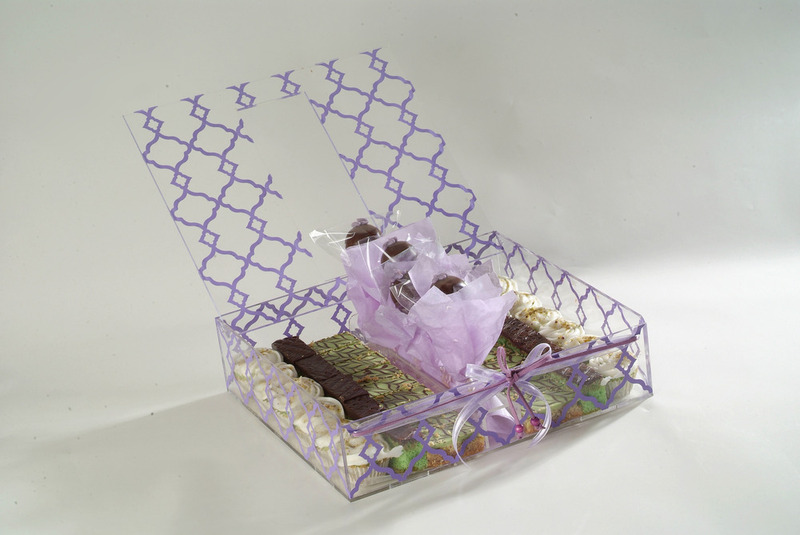 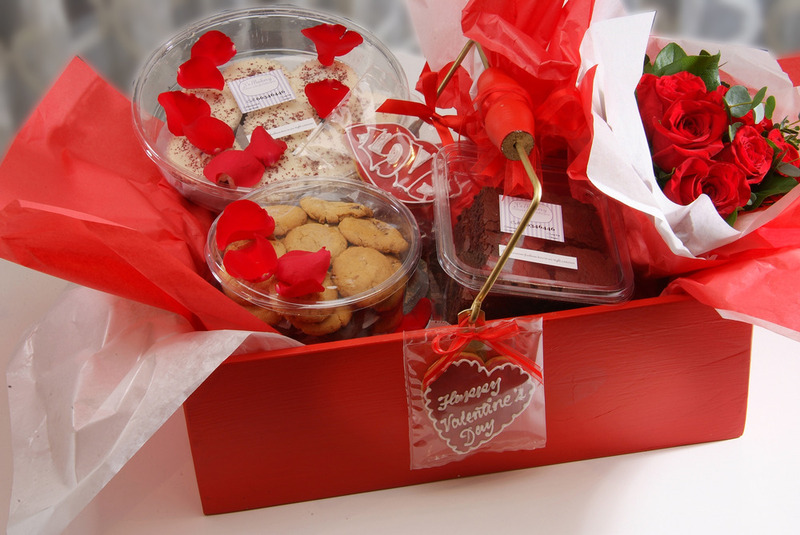 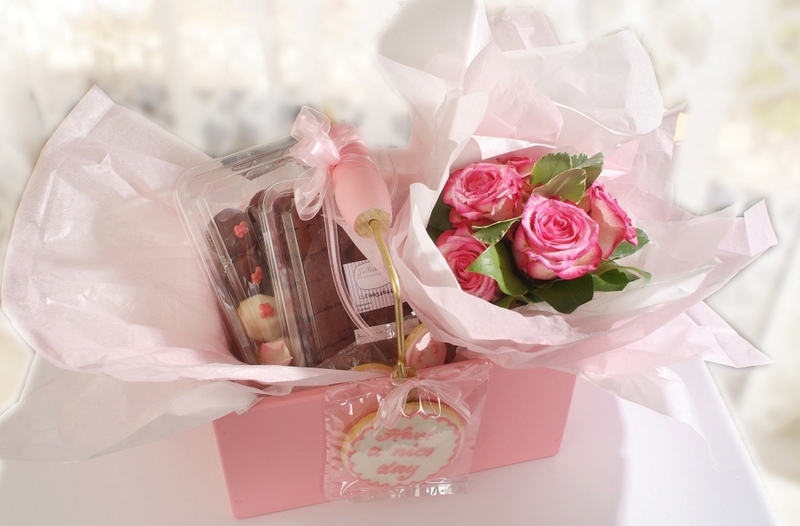 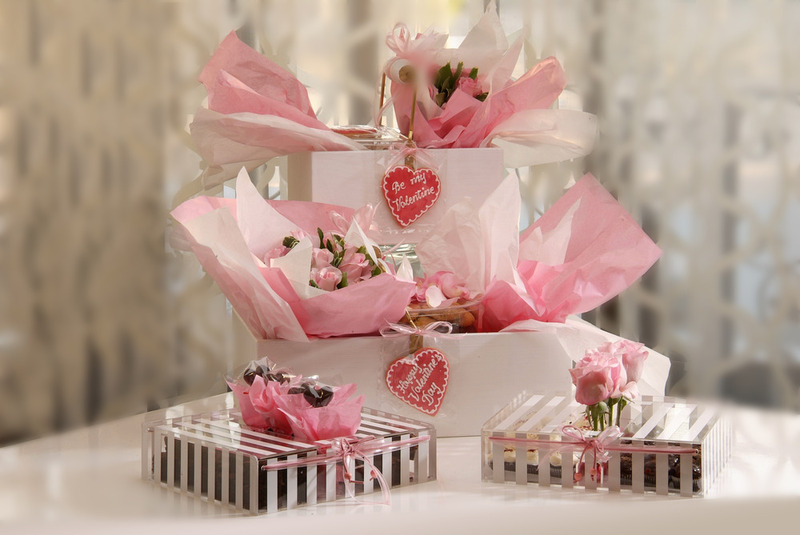 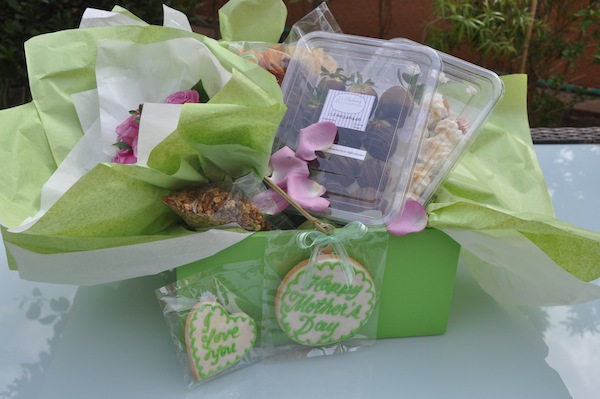 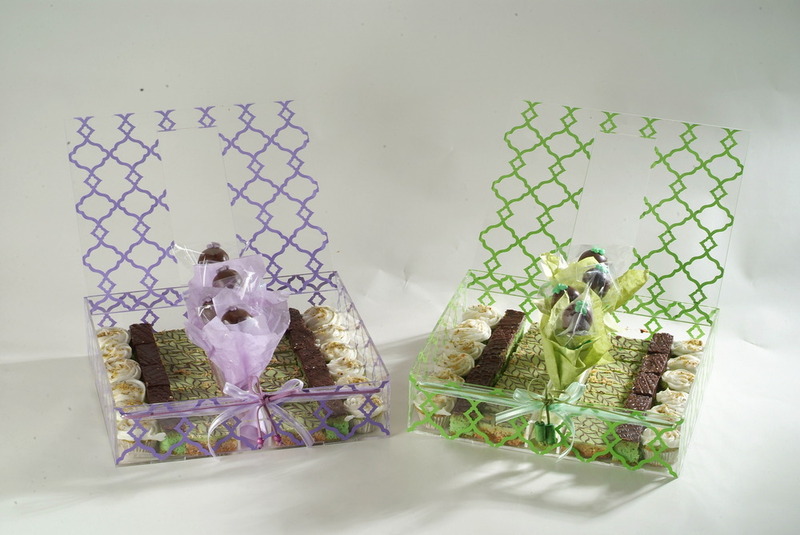 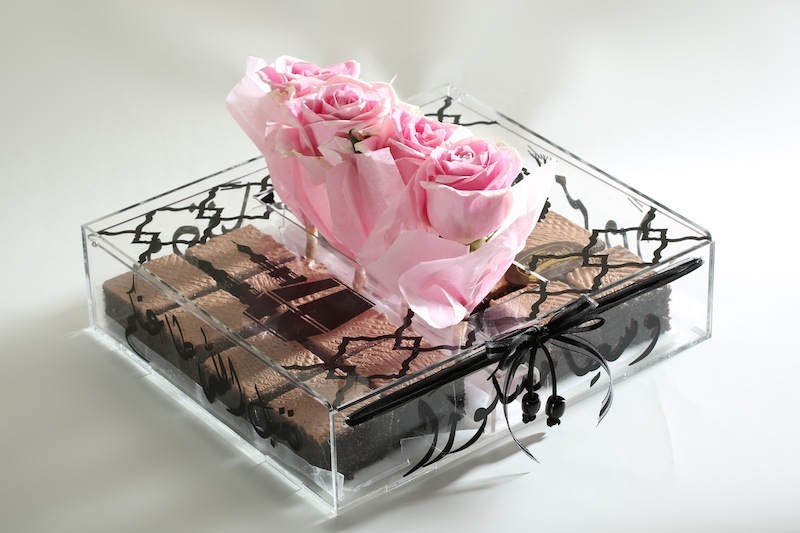 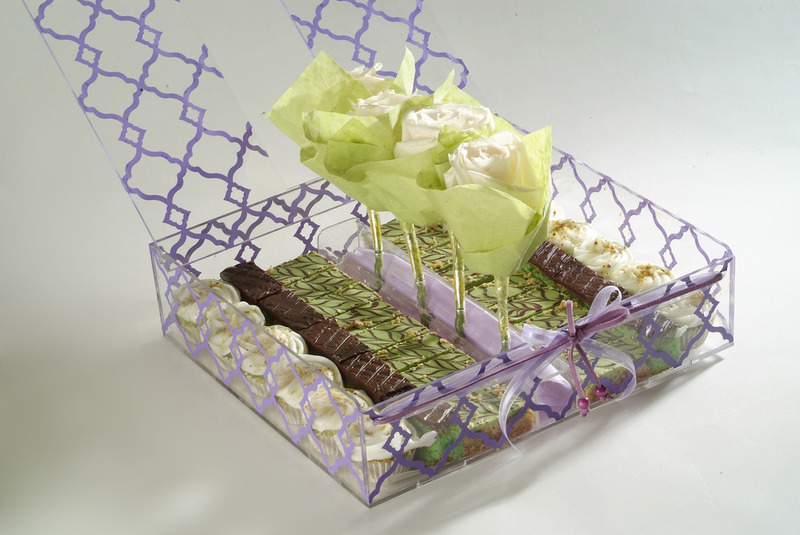 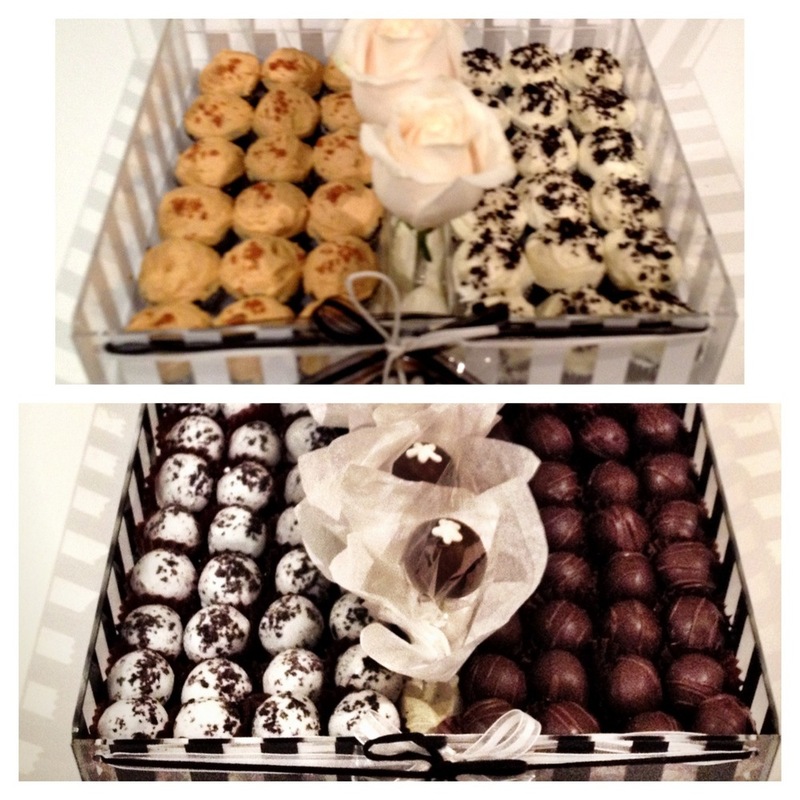 But check out the full collection..
We’ve customized the J’s Basket and Plexi Gift Boxes .. 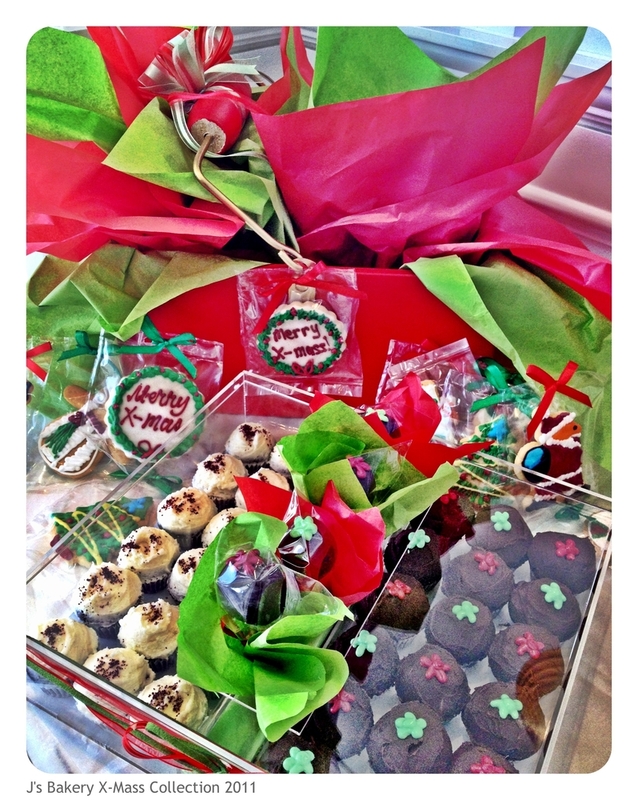 I had fun tweeking the colors abit using instagram app in HDR finish..
J’s Gift Basket X-Mafiyed – Choose any of our baskets and let us bedazzle it for u.. Super festive to enjoy with friends or family..
Plexi Gift Box – Cupcakes ( Red Velvet/ Chocofudge cupcakes and Cake Pops) You can also choose any of our plexi gift boxes… fill it with your favorite treats and we can also place fresh flowers in place of the Cake pops.. a fun hostess gift for all your holiday parties..
Our Traditional handcrafted wood basket filled with your favorite reduced fat treats. 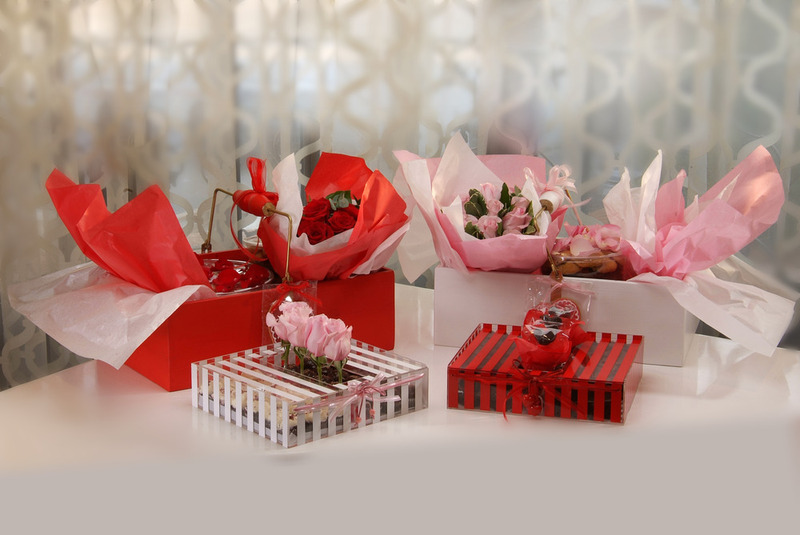 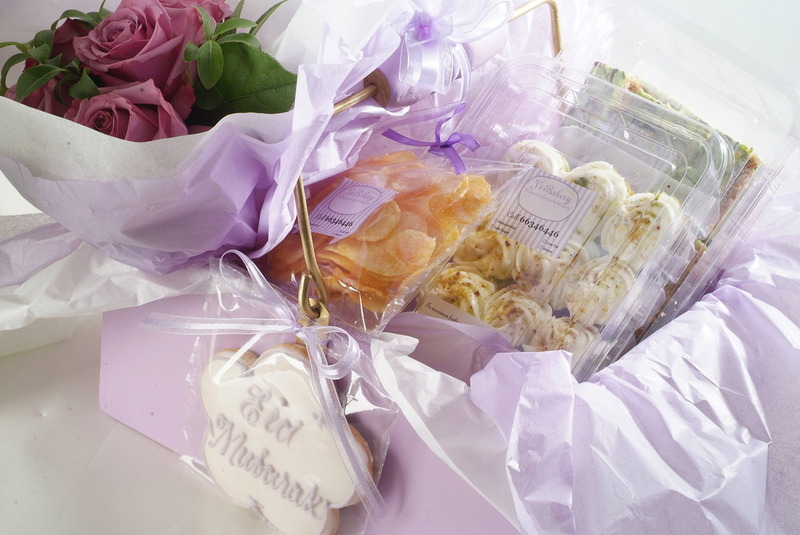 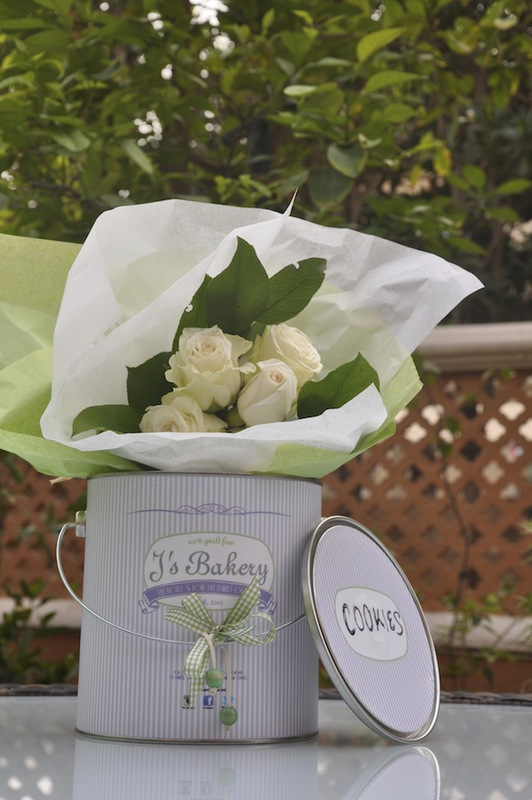 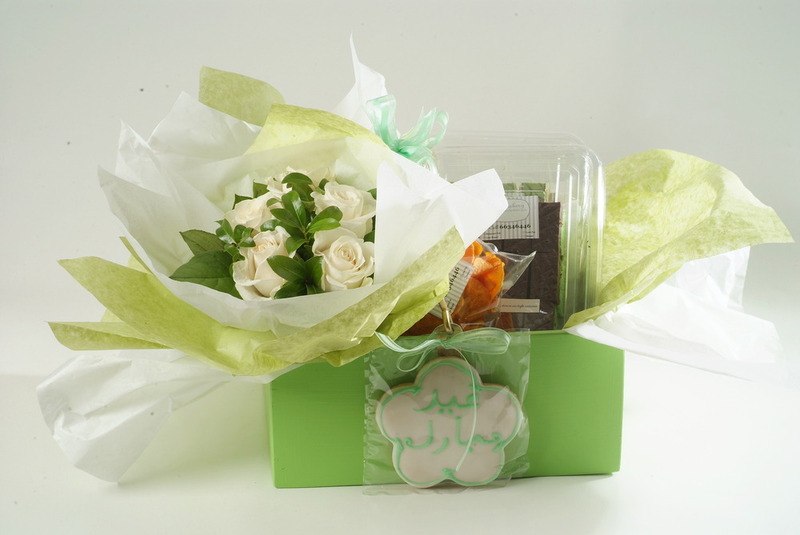 Lined with silk paper, adorned with ribbons and decorated with a bouquet of fresh flowers. 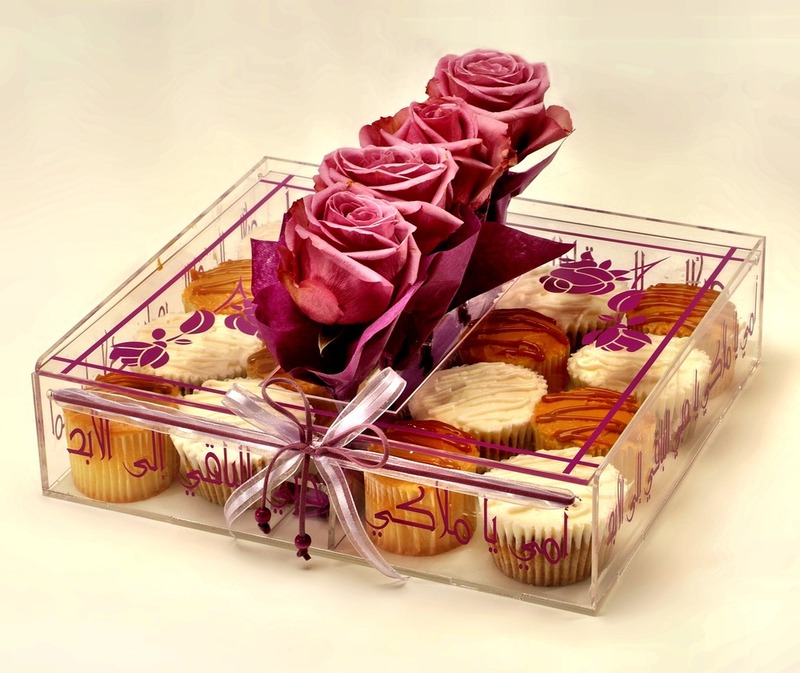 New Color Fushia. 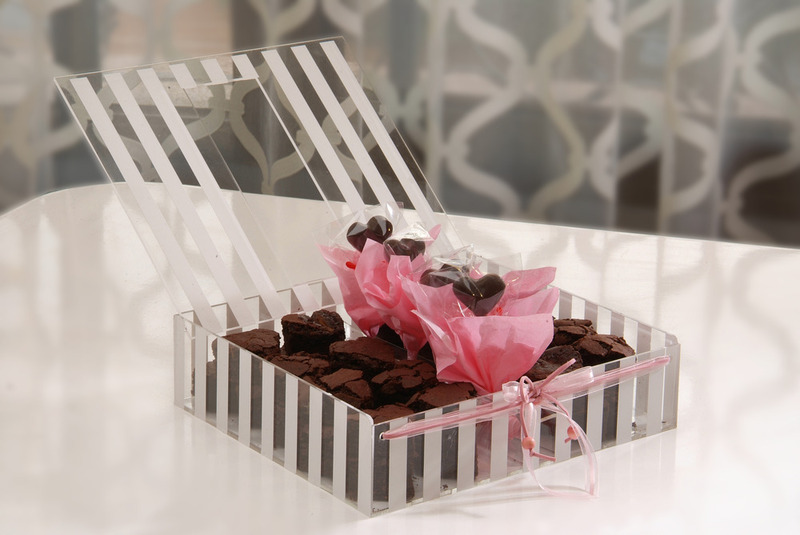 Also available in our other colors.